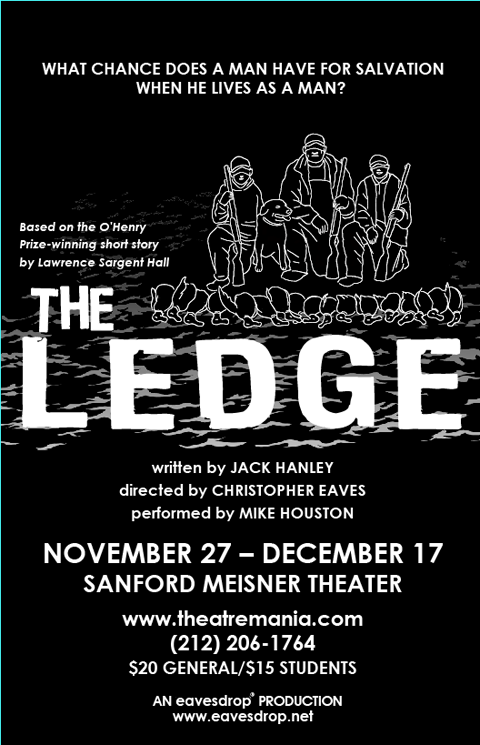 THE LEDGE—Written by Jack Hanley. Designed and directed by Christopher Eaves. A fisherman is stranded with his son and nephew on a small reef exposed at low tide off the New England coast in winter. The following morning the fisherman's drowned body is dragged in to a wharf for his wife to see. From his frozen, post-corporeal being he is compelled by her eyes to relive his last hours holding the boys above the icy waters, to relive his last seconds of breath as the tide rises around his neck, to witness again his son swimming into darkness. THE LEDGE utilizes video projection as the sole source of stage lighting. The video not only illuminates the actor but also casts the stage decor and forms metaphorical undertones for the dramatic narrative. Performed by Mike Houston. Assistant Direction by Megin Jiminez. Original Music by Alicia Mathewson. Scenic design by Jeremy Chernick. Sound Engineering by Joshua Coleman. Stage Management by Erin Klee. Illustration by David Borchart. Press Representation by Manuel Igrejas. Produced by eavesdrop with support from the Mnemosyne Alliance. 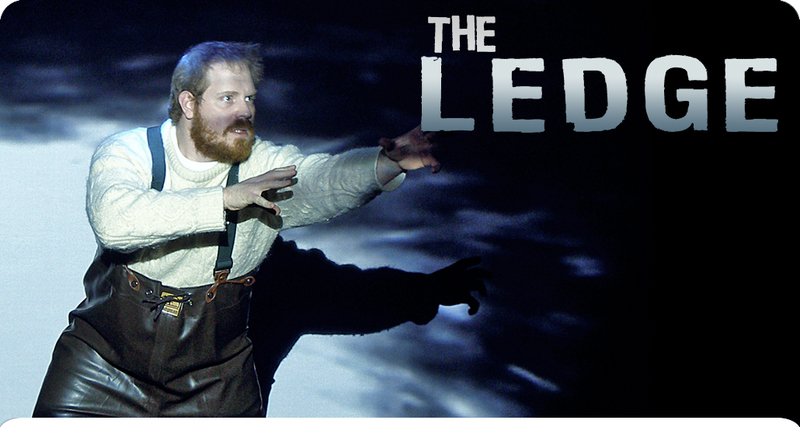 For his portrayal of The Fisherman in THE LEDGE, Mike Houston received the 2007 New York Innovative Theatre Award for "Best Solo Performance." Based upon The Ledge by Lawrence Sargent Hall, Sr., ©1959 Bowdoin College, Brunswick, Maine.